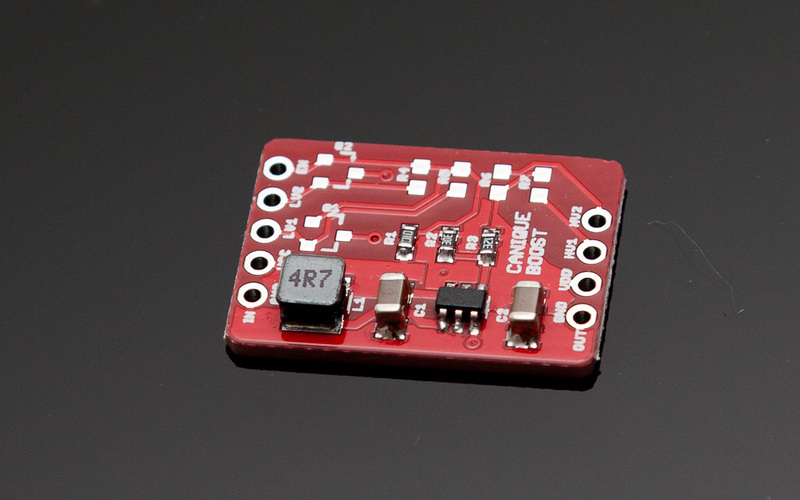 Canique Boost is a highly efficient Step Up Converter (Voltage Booster) using an MCP16251 chip. 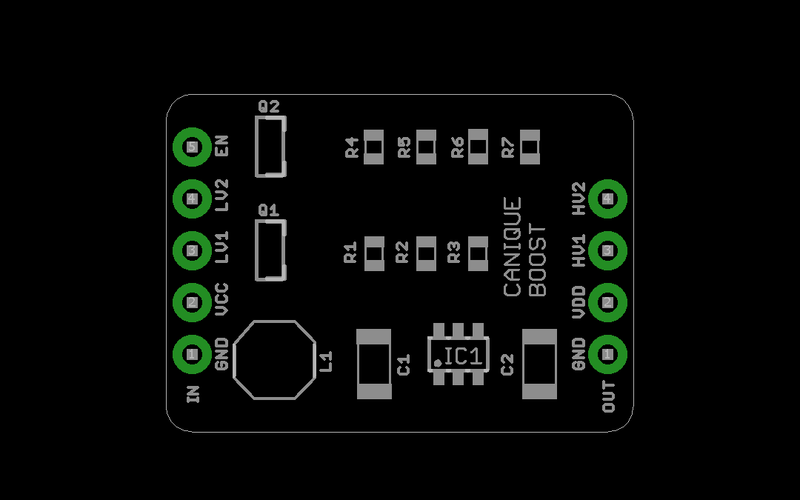 The Canique Boost board also contains a 2 channel logic level converter. The input voltage is 0.8V - 5V. This means that the Canique Boost can even be powered by a single AA battery. 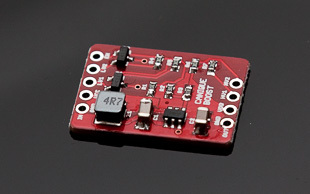 The output voltage is between 1.8 - 5V. When you order this device, it will be shipped setup for your desired output voltage. Typical output voltage values are 3.3V and 5V. One possible use case for the Canique Boost is to power a Canique MK2 with 1 or 2 AA Alkaline batteries. Usually the voltage that 1 or 2 AA batteries provide is not sufficient to power an MK2 running @ 16 MHz but by using a Canique Boost in between, the voltage of the batteries can be boosted to 3.3V and this is enough for the MK2 to run flawlessly at stock speed. 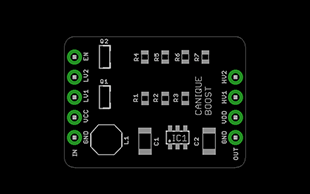 For this use case you need to connect your battery to the VCC and GND pins of the Canique Boost and connect the 3.3V/GND pins of your MK2 to the VDD and GND pins of the Canique Boost. There are many other use cases, generally speaking: Whenever you need to boost a low voltage to some higher voltage, the Canique Boost should be considered. 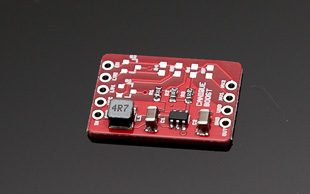 Resistor R1: If R1 < 200 Ohm is soldered, the step up converter is permanently enabled.